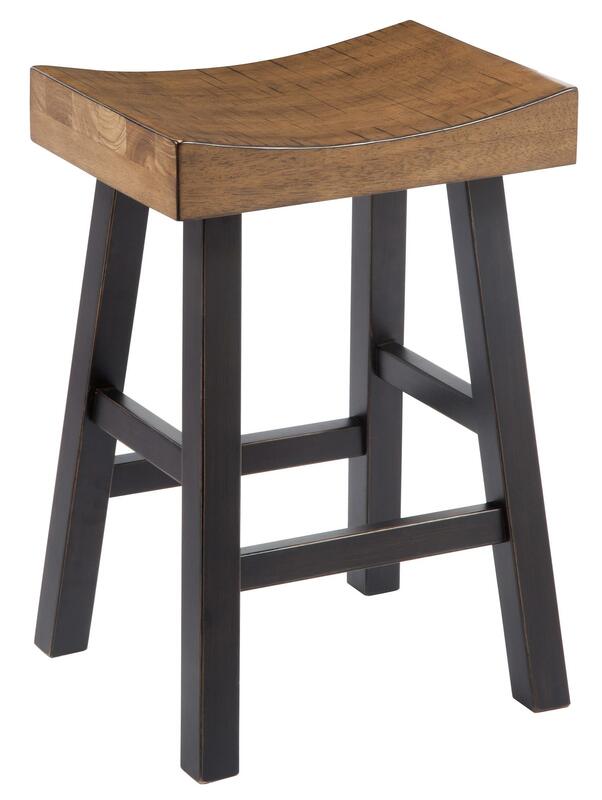 A rustic modern design makes this counter height backless stool a sleek addition to your kitchen or casual dining space. It features a natural tone deep scooped saddle seat with modern shape and saw kerf texture, while the base of the stool is a dark finish. The Glosco Rustic Two-Tone Stool with Saddle Seat by Signature Design by Ashley from Boulevard Home Furnishings. We proudly serve the St. George, Cedar City, Hurricane, Utah, Mesquite, Nevada area. Product availability may vary. Contact us for the most current availability on this product. Modern style for urban living, these bar stools, dining chair, and storage pieces add style to your home decor. Add distinction to a counter or a table with your choice of bar stools or dining chair available, or use one of the storage accent pieces to provide function to your home. The Glosco collection is a great option if you are looking for Contemporary furniture in the St. George, Cedar City, Hurricane, Utah, Mesquite, Nevada area.